Murray’s Fair Hair is an organic and natural hairdressing salon in The Hague. 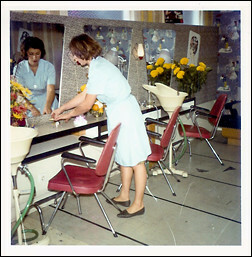 I am Michelle Murray and I have been a hairdresser for about 30 years, which means I started late in this profession. 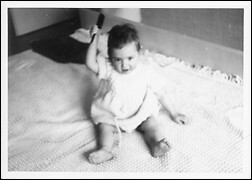 I come from a hairdressing family; my mother and aunt were also hairdressers. 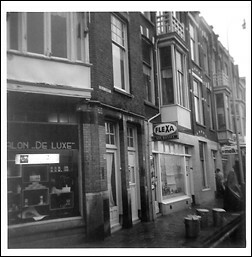 My aunt had a hairdressing salon in Valkenboslaan in the 1960s called 'Salon de Luxe'. When I was a toddler, you could often find me there as my mother worked there too. As a teenager, I was against following this profession. However, after various courses and several jobs later, I found myself drawn towards hairdressing. I was 27 years old then, and it has been my passion every since. I enjoyed my training at the Kappersakademie in Rotterdam. Initially, after I graduated, I found it difficult to get a job in this profession at my age. Then, I was given a chance and got a job at Bart Rond in The Hague. At Bart's I learned more about cutting and styling. I enjoyed the many workshops and participated in competitions. However, I became concerned about the chemicals used in hairdressing. True, I could indulge in my creativity by using these products but they did not seem to do anything to improve hair conditions. In fact, I found that these products made hair worse by masking damaged hair conditions. Around 19 years ago I came accross Haarzuiver, a hair salon in The Hague, and thought, this is it! This was an environmentally-friendly hair salon, giving good advice and with expertise in hair colouring. They used 100% natural and organic plant dyes and offered many colour options. However, they were restricted in what they could do; hair colour could not be lightened and therefore hair colour could not be changed from dark to blonde. It took some getting used to, but it was great! I changed to working with completely organic and natural products and am absolutely convinced that these products contribute to healthy skin and hair. Conclusion: hair is healthier and of better quality. It was now time for me to go further and thus Murray' s Fair Hair was born. Haircare started at a young age.